The Commission on Higher Education continues to use a Wordpress site to inform its teacher-scholars of the status of their allowances. There is a new "public tracker" now which seems to have the sole purpose of placing the blame of the outrageous delay of allowances on the scholars themselves. The table now even includes columns that suggest scholars have been deficient with the required forms. Indeed, on the surface, the tracker looks like a good deflection, but upon closer inspection, it is really a poor attempt to shift responsibility and is simply another demonstration of incompetence of the commission. 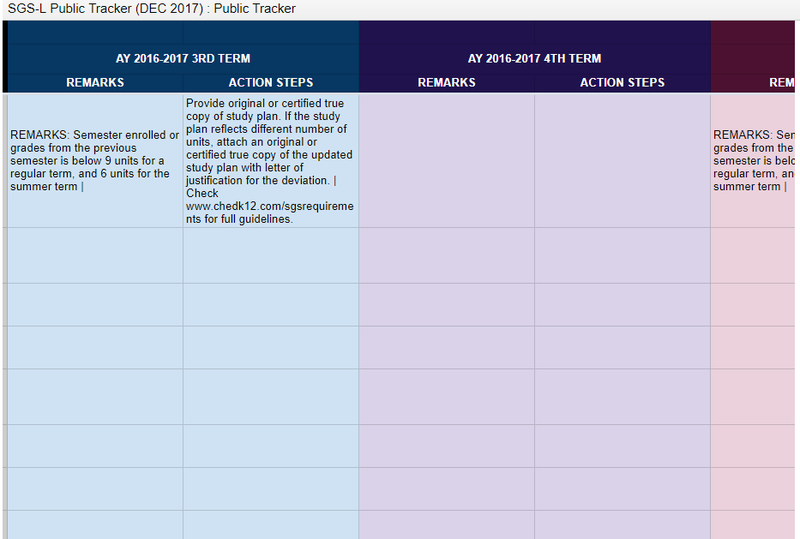 The tracker now has "Remarks" and "Action Steps" on which deficiencies on the part of the scholar are highlighted. Obviously, in the above figure, there are seven rows (seven scholars) in which these columns are empty. 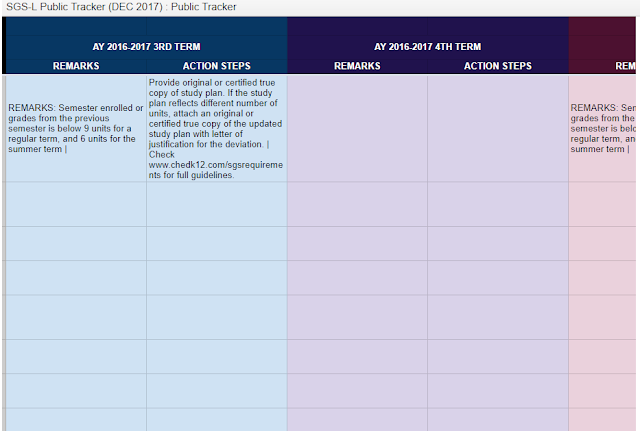 The public tracker is supposedly updated continuously so perhaps, these seven scholars have promply addressed their deficiencies during the first few weeks this tracker has been posted. But then again, maybe, there are really no deficiencies and the Commission is simply the culprit for the delay. 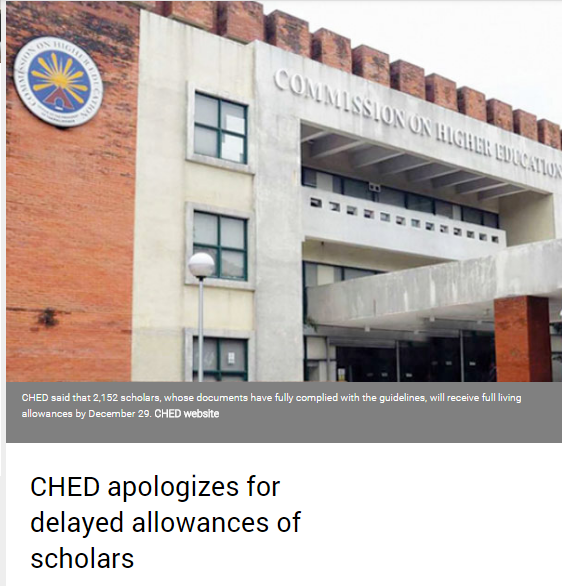 The Commission did apologize weeks ago citing poor infrastructure, deficiency on scholars' documents, and additional audit requirements. Deficiencies are always mentioned yet the Commission admits that there are thousands of scholars who are in fact fully compliant. What is especially striking in this open letter is the allegation that officials within the Commission have been threatening teacher-scholars as well as their institutions after they have aired their complaints. Department chairs and university officials are even told of the risk of losing scholarship opportunities in the future. 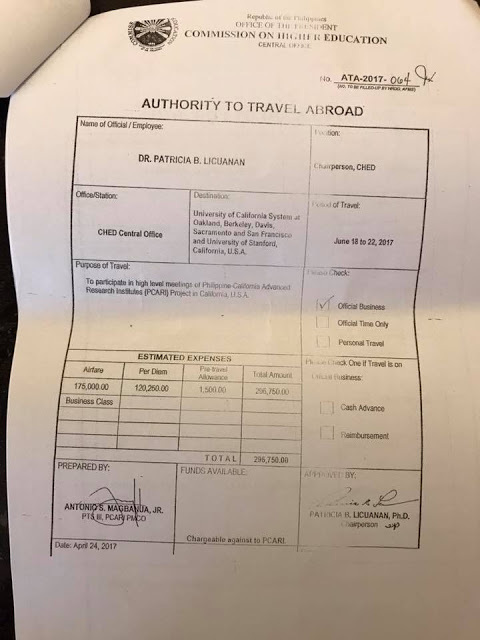 This is utterly depraved especially when the Chair of the Commission can easily take a "business class" flight to California. Apparently, when it comes to PCARI, the Commission has no infrastructure, deficiency and audit problems.